Hipstamatic App Review Pt 1: The Interface | Shelby White - The blog of artist, visual designer and entrepreneur Shelby White. The latest and greatest new iPhone app capturing attention is Hipstamatic. The name is a little corny (apparently the real Hipstamatic was a toy camera back in the 80’s), but the app is nowhere near it. 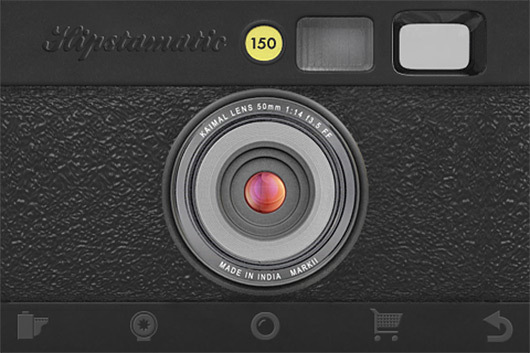 Hipstamatic brings with it a sleek interface and unpredictability, combined with a cross-processed and traditional film looks to each photo you take. 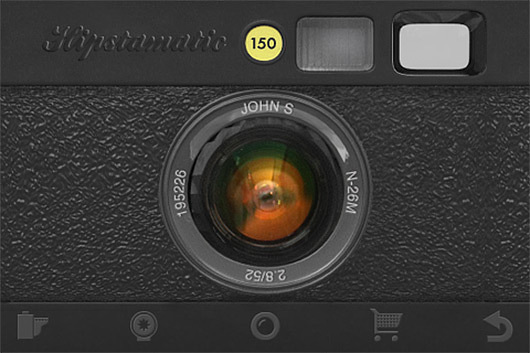 The first thing you notice when opening up this application is that the interface is built around the design of the traditional Holga. I think this is very cool and pretty nicely done compared to other photo apps. On top of the design, the ease of use is great. 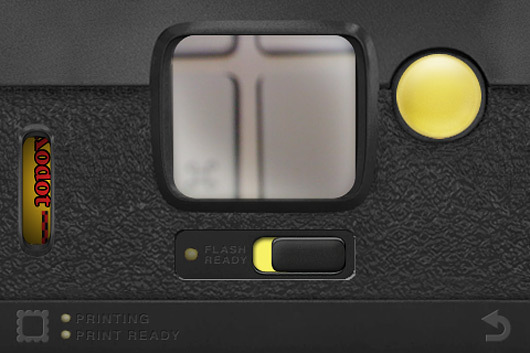 To change lenses, flashes or film, it just takes the swipe of the finger. Purchasing more of the features is very simple as well, but I guess what app isn’t? The best part about Hipstamatic is that it’s somewhat unpredictable. 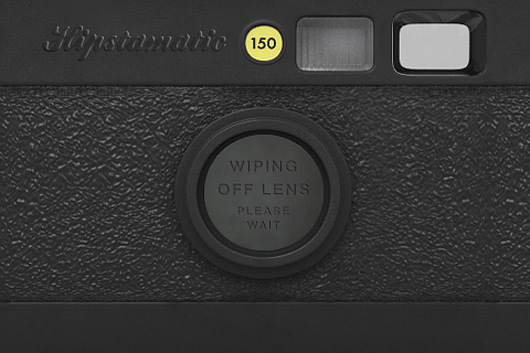 Especially when you forget how each lens, film, and flash affect the photo. At first I was surprised at how quickly it processed each photo and then saved it. I came to find out that it was because the photos that it was processing were only 480px or so wide and not the full resolution. There is a feature in the settings that can be turned on to “print” larger, but when turning this on the “developing” time is substantially longer. I was also pleasantly surprised at how closely–in some cases–this app mimicked cross-processed film. Of course it still has some work to do to even get close to cross-processed film. So far I really haven’t had any issues with Hipstamatic to speak of besides enlarging the viewfinder window. I also noticed that my lens/flash/film combination kept on resetting when the app quit on me, two minor issues to a great iPhone application. Overall it’s worth your dollar ninety-nine, two thumbs up to the creator of Hipstamatic. Continue reading to see more screen shot images of the interface. 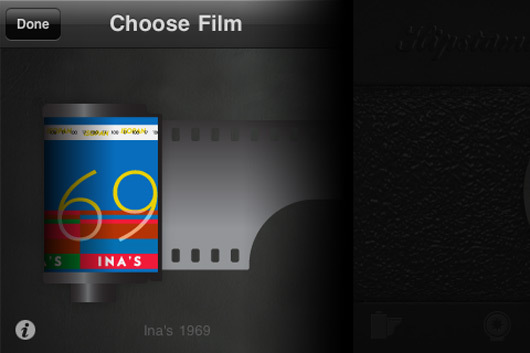 You can also see the photos I took for my review of Hipstamatic in part 2 here. there is also a review of the app over at theblackharbor.com with a healthy debate in the comments. its interesting for me to see how people are using it and pushing it.